This is a test page for my comic coming 2019 called The Slinger. 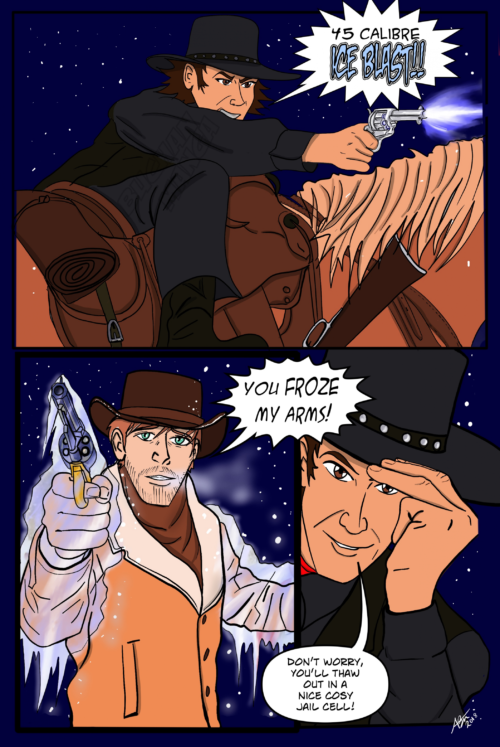 Take a classic western hero and give him a magic 45 Calibre ice blaster and you get the Slinger! Ice cold justice!